The Smart City tag put Belagavi on the global map and news papers when in December 2016, city got selected in the first 20 Smart cities of the country. It was a time for jubilation, infact many celebrated as well But just the Smart tag on paper is of no use, we need Smart proactive citizens and smart administration to go with it, and we are lucky we lack in both. We will try to focus on a issue basis and try to get to the roots of it one by one – here is the first one: – Look at this simple example of Autos in the city. Now many would say is this an issue to be discussed! Yes for many it will not be for Belagavi it is. 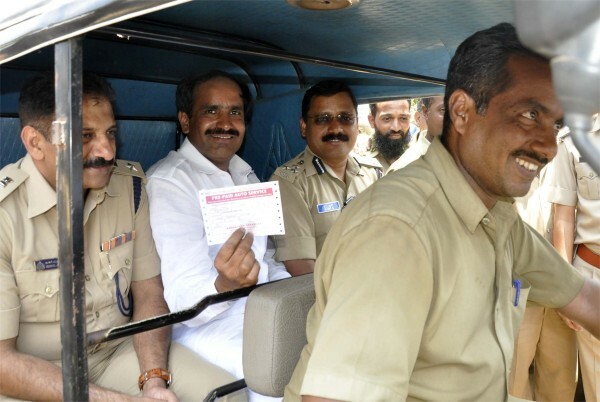 Not once for more than 4 days has the Auto Rikshaws charged as per the prevailing auto fare, which has always been on the higher side than in other cities in the state. Why Hasn’t anyone in the past been able to implement this. We have been writing on this issue for the past 10 years and some action was taken when DC N Jayaram issued a stern warning, but he too failed miserably thanks to the RTO we could say as Police has very limited powers as to imposing a fine of upto 100 only. Then we had this Dabang officer (did we say too much) Javed Mushapiri, who by his looks was very deceptive; very lean but smart looking and above all he wanted to help the citizens at large and tried to implement the Fare by meters. But each time he caught hold of the Autos and started to fine, Political interference stopped his drive. Very recently he had taken up the drive against errant autos and in a day he caught 200+ autos but all were let off without being fined after some High level intervention from all sides(We dont have to disclose, one can assume). The Police along with the City corporation tried to clear the basements so that they could be used for parking and atleast 5% parking problem on the street would get solved, But not there as well, High level intervention again. In-fact the action along with the corporation might have been the Last nail in the coffin as Javed Mushapiri has now been transfered to State Intelligence. 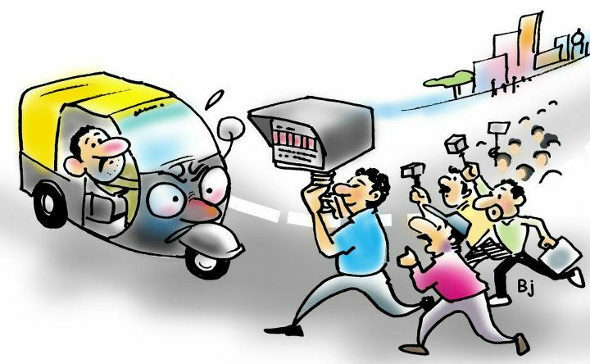 The Police have installed 90 CCTV’s and even have fined 200 persons on an average daily for non wearing of helmets, seat belts, fancy number plate, no parking but we never saw those Camera’s catch hold of the GTA type driving of the autos, leave the Fare part. Citizens are now totally bugged up of the auto menace and many prefer not to speak to them, and when there is no option but have to take an auto ask them Kitna Loge and the journey begins. Citizens are treated as third class citizens by these auto drivers a few people complained on the auto ka meter down karo group. “If you can pay sit or else just leave from here” a normal answer from the Auto Drivers another comment. We the citizens are also at fault just like the auto drivers are, Why should we always ask them “Kitna Loge” Ask them to down the meter, one denies leave it ask another. But who in this busy world has the time to do this and this is what has made the drivers so Errant and adamant. The prepaid Auto is FARCE and those booths are nothing but monuments. Why build them when no one is in them. Just heard that a Police was seen in the Prepaid booth at Railway Station. Now that it is assumed and presumed that the Administration wont act on its own to eradicate this Auto menace, the citizens must come forward and act. Yes if there is someone from the Administration who can act as a catalyst in this drive against errant Autos it will truly mean to be living in a Smart city, Untill then Lets live with the Tag alone. Everyone knows the politician behind them and who is spoiling the whole show…its just for his vote bank. If he stops supporting them, then they will bow down its waste of time talking. Better use ola cabs guys and teach them a lesson. kindly use ola booking aap, nothing is going to change. if ppl start using ola, automatic this ppl will learn the lesson. Sir Ola app is not soo popular in belgavi city. 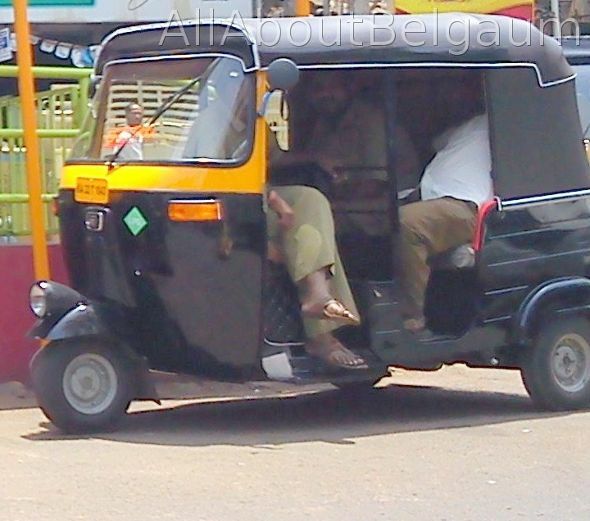 True… Auto drivers are horrible… Specially near bus stand… They act as baap ka raj. Ashamed to consider our Belagavi city as smart, in the backdrop of errent auto drivers, parking problems, worst traffic. Belagavi will never progress. Thanks to the administration. Not only auto problem. Roads are horrible some areas road is full of pavors and next to that khaddas also no traffic police to control traffic on main roads. Is it really smart city or politician city question to be answered by local leaders. is ko andher nagari choupat raaja kehte hein raghunath ji.